"If you kiss me, I'll turn into a prince!" says the frog. But Ella thinks that a talking frog is much more interesting and fun than living like a princess in a castle. And when she introduces her life to the royal prince, he tends to agree. Their friendship grows and when he does return to his world at the castle he makes a deal with his parents to allow him to continue his royal duties while also taking time out to play with his best friend...And, of course, only the kiss of a true friend can break the curse and return him to his true princely form. About Heather McLeod (Author) : Heather McLeod is a published author of children's books. 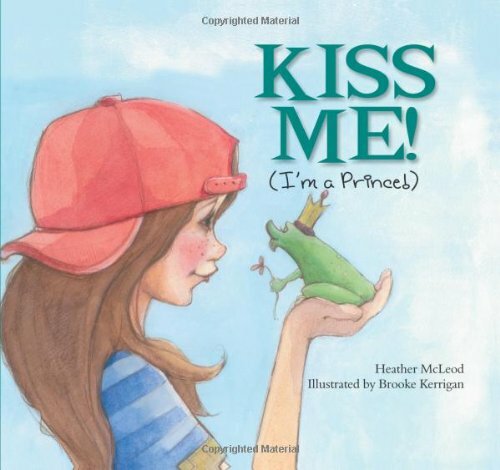 A published credit of Heather McLeod is Kiss Me! I'm a Prince. About Brooke Kerrigan (Illustrator) : Brooke Kerrigan is a published illustrator of young adult books. A published credit of Brooke Kerrigan is Bullying: Deal with it before Push comes to Shove (Deal With It series).